Migraines are best known for their debilitating headaches, but there is more to a migraine episode than appears on the surface. A migraine attack is a neurologically-based condition that affects over 1 billion people across the globe. Symptoms of a migraine episode can vary greatly from person to person. They can include neck pain or stiffness, frequent yawning, vision changes, extreme sensitivity to light, noise, and smells, confusion, nausea or vomiting, and dizziness. Medications are widely used to manage migraines, but many people are looking for more natural sustainable ways to care for themselves when a migraine strikes. Incorporating healthy habits into your daily routine might help you to suffer less from debilitating migraines. If you’ve dealt with migraines for any length of time, you probably have some sense of when an episode is about to occur. However, you might not know that there are certain things that you can start incorporating into your daily schedule to potentially minimize the frequency and/or severity of your migraines. These tips can stand to help anyone, even non-migraine sufferers, to live a healthier and more consistent quality of life. Try to maintain a consistent sleep schedule. Many migraine sufferers find that changes to their daily sleep habits, like sleeping in late on the weekends, can trigger an attack. If you find the need to nap during the day, limit them to no more than about 30 minutes to avoid interfering with your nighttime sleep. Set up your bedroom for optimal sleep. Keep distractions such as television and cell phones out of the bedroom if the temptation is to use them leading up to bedtime. Making sure your room is cool and dark also ensures the best possible sleep environment. Watch what you eat before bed. There are many things that you may be eating and drinking that can disturb your body’s normal sleep rhythm. Caffeine, alcohol, nicotine, heavy meals, and spicy foods can wreak havoc on a good night of rest. It may also be worth checking your medications (for migraines or otherwise) for hidden caffeine or other stimulants, as those can interfere with sleep as well. Avoid known food or drink triggers. Through the process of elimination or by keeping a food diary, many migraine sufferers are able to identify potential dietary triggers. Some common ones include aged meats and cheeses, chocolate, red wine, caffeine, and food additives such as MSG (monosodium glutamate). Keep a consistent eating schedule and avoid skipping meals. Enjoying your meals at around the same times every day helps to keep your blood sugar levels on an even keel. A regular exercise routine can help you to manage your migraines. If exercise isn’t a part of your daily routine at all, be sure to start slowly and ease into it – walking, cycling, and swimming can all be good options. Learn to relax. Many migraine sufferers find that they benefit from using tools like meditation, tai chi, or yoga to ease stress. Finding what works for you and sticking with it can keep stress levels manageable. Take breaks when needed. Even a 5-minute break when stress starts to feel overwhelming can shift your perspective to a more positive one. At work, try doing some stretches at your desk or go for a brisk walk. A vast majority of migraine sufferers list neck pain as one of the primary symptoms of their attack. According to several studies, neck pain with migraine occurred more frequently than some of the better-known symptoms like nausea, vomiting, and aura. Some describe the migraine as beginning at the base of the neck, while others experience a radiating pain from the neck to the head. It’s no coincidence that the neck is involved with so many migraine cases, and that fact is one that upper cervical chiropractors have been using to provide natural, lasting relief to those affected with the condition. The upper cervical spine, the area of the neck that forms a junction between the skull and the rest of the spinal column, is comprised of two very uniquely shaped vertebrae. These two vertebrae – the atlas (C1) and axis (C2) – are designed to provide us with the freedom of movement of our heads. It is because of how these bones are shaped and how much they are able to move that we are able to look up and down, left and right, and tilt our heads from side to side. However, since these vertebrae are so freely movable, they are especially vulnerable to misaligning and causing compromise in your body’s ability to heal and function at its best. The upper cervical spine, when functioning as it should, is designed to protect the brainstem and allow for normal neurological function, blood flow to and from the brain, and cerebrospinal fluid (CSF) flow. The atlas vertebra is also tasked with bearing the weight of the head, which can weigh between 10 and 14 pounds in the average adult. When the upper cervical spine misaligns due to injury or wear and tear over time, it can begin to negatively influence any or all of these factors. Neurological function can be compromised, the head isn’t carried in its neutral position straining the neck, and blood and CSF flow can experience changes. 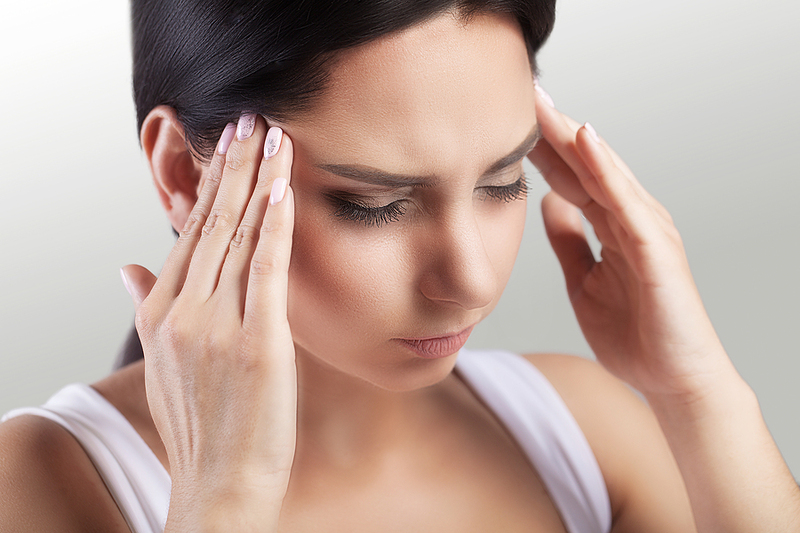 Any of these factors can be at the root of your migraines. Don’t ignore the neck pain that comes along with your migraine episodes – it might actually be pointing you towards a sustainable solution. Upper cervical chiropractic care is precise, gentle, and effective for migraine patients both young and old. A consultation to learn more might be your first step towards gaining the relief you’ve been looking for.